These gift boxes are perfect for any occasion. Medium Box: 14 x 11 x 2.5 – we recommend using this for single clothing items. You can fit a couple of t-shirts, sport shirts or polos as well. 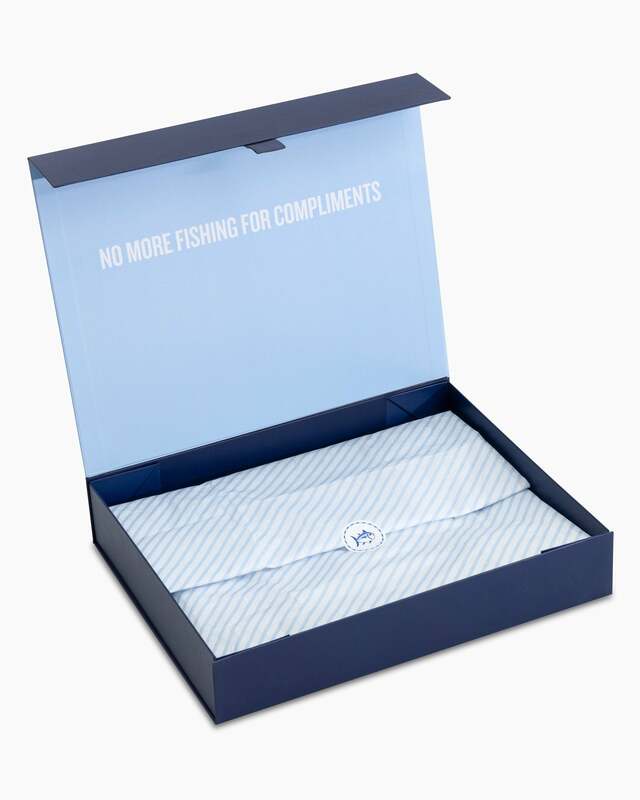 ALL items* from your order will be placed inside the gift box, wrapped with tissue paper and sealed with a Skipjack Sticker. Each item(s) will be removed from its packaging and the price will be crossed out or removed if possible. The tags will remain on the product should a return be necessary. 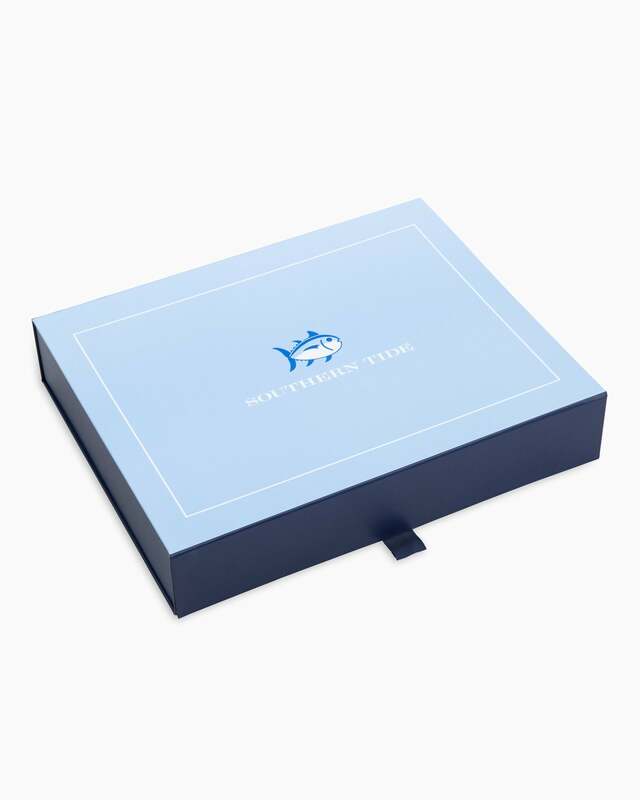 *If the warehouse cannot fit all items from your order in the gift box, our customer service team will reach out to see if you’d like to purchase additional gift boxes or if some product should not be included. All items on the order will be shipped to the gift recipient. A separate order will need to be placed for items not being gift wrapped or shipping to a different address.